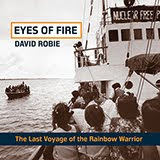 JAKARTA: How far can a journalist go in pursuing a story in times of conflict without becoming the story? Rahim Ullah Yusufzai, a veteran of war, terrorism, insurrection and civil unrest reporting in Pakistan, thinks that no story is really worth dying for, no matter how important it is. “Journalists are always hungry for news. We do take risks as journalists, but we keep telling our colleagues and I with myself, you know, nothing is more important than your life,” said Yusufzai, of TV channel Geo and News International of Peshawar, Pakistan. Yusufzai spoke before 52 senior journalists from 16 member-countries of the East Asia Summit in a meeting in Jakarta on March 8-11 to examine reporting on complex issues at the intersection of politics, religion and culture. 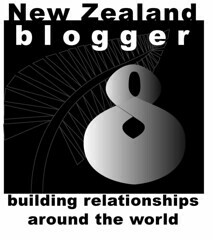 The forum was organised by New Zealand and the European Union, with support from the Association of Southeast Asian Nations (ASEAN) and the Indonesian government and Press Council. Yusufzai, who interviewed al-Qaida chief Osama bin Laden twice in 1998 and Taliban head Mullah Omar 13 times, stressed that a journalist should never cross the limit, and should always trust survival instincts. “You expose yourself, you can actually be a burden on your organisation. They have to pay the ransom or your family, or in some cases, your country has to face the burden because your government is forced to release Taliban commanders,” he said. 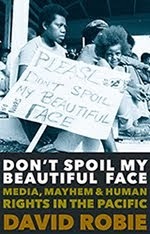 “The media organisations - they are happy if you go to the front lines and you report the story but they don’t want to spend money on you. We always say that the camera is insured, but the cameraman is not insured,” Yusufzai said. “The camera is very expensive and they insure it,” he said. The kidnapping of journalists—local or foreign—for ransom has become a big business in conflict areas, Yusufzai said. Eventually, it all comes to ransom, he noted, as the US, the French and British governments do not normally agree to the release of prisoners. Two French journalists remain in captivity since they were abducted in Afghanistan on Dec. 30 last year. In exchange for their freedom, the kidnappers have demanded the release of Taliban prisoners and the payment of ransom. Yusufzai said the two journalists first came to Afghanistan embedded with the French troops. The second time, they decided to go on their own by seeking local contacts to get to a Taliban commander. They ended up being kidnapped by the commander. In 2007, he said, an Italian journalist was kidnapped in Pakistan and was released only after a deal under which five Taliban commanders were released. “You have to be careful in dealing with young people you know. We’ve met a few suicide bombers and they were teenagers and they can be very emotional. You can’t really negotiate with a young man. They are so rigid and so inflexible,” he said. During the forum, participants cited the November 23, 2009, massacre of 57 people, including 32 journalists, in Maguindanao as an example of the risks journalists faced. Participants signed an open letter to President Gloria Macapagal-Arroyo expressing their sympathies to the families of the victims and urging the government to stop the senseless killings of journalists. ASEAN Secretary-General Surin Pitsuwan said that journalists had a big responsibility as communicators to bring out the truth to the world. Orlando Mercado, Philippine permanent representative to the ASEAN, said that the newsroom had been marginalised by so-called new media—websites, blogs, YouTube, Facebook and the citizen journalists. 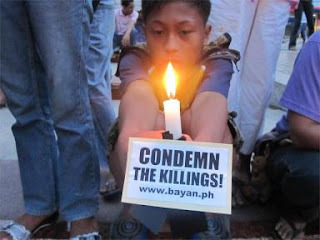 Pictured: Top: A candlelight protest against the Maguindanao massacre in the southern Philippines (Photo: Arnold Padilla). 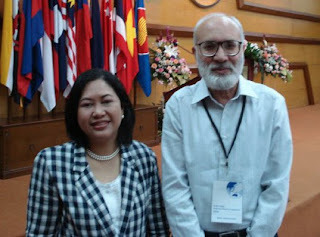 Middle: the author, Cynthia Balana, and Rahim Ullah Yusufzai at the Jakarta media conference. 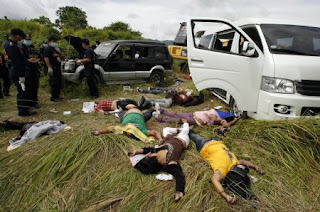 Bottom: The Maguindanao massacre.